Prefabricated Steel Buildings Manufacturer in Delhi, Prefabricated Steel Buildings Supplier in Delhi, Prefabricated Steel Buildings in Delhi. Assisted by our expert professionals and their industry expertise, we are able to offer an exclusive array of Prefabricated Steel Buildings. The offered prefab steel buildings are manufactured by our experienced and professional designer utilizing high-grade quality raw material by using the latest technology in the industry. 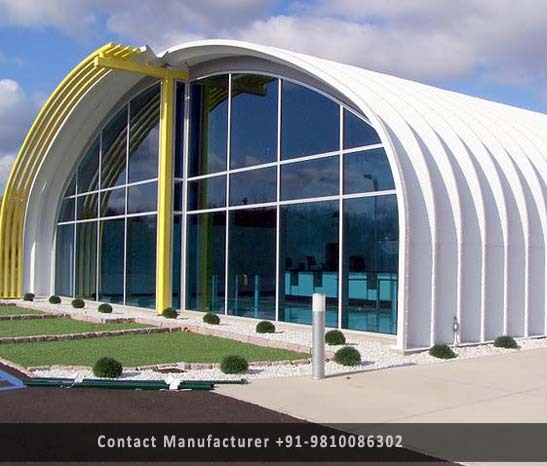 This steel building is widely admired for its attractive looks, excellent colour combination and robust structure. We provide these prefabricated steel building in various sizes and customized options as per the needs of our renowned clients.